I don't usually go all out for Easter since I don't have any little ones at home anymore. I do spoil all of my grands with great baskets, but for me, just a few Easter decorations around the house are perfect. 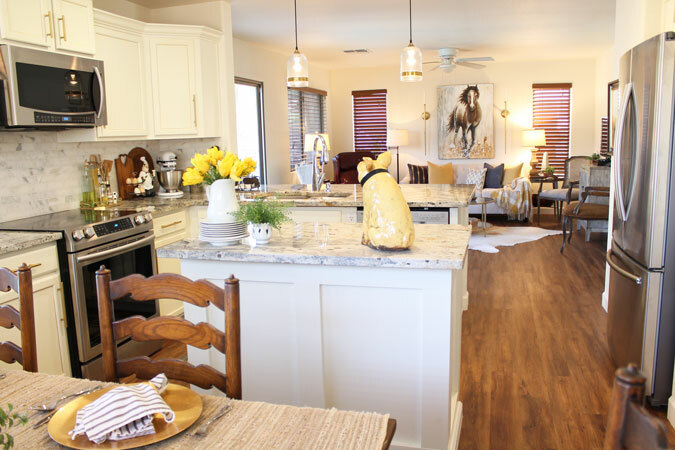 My kitchen is a favorite place to play and to change up all the decor. I spend a ton of time in the kitchen. I love to cook, so having something different to look at all the time is fun for me. I chose yellow since it is such a happy color and just reminds me of Spring. 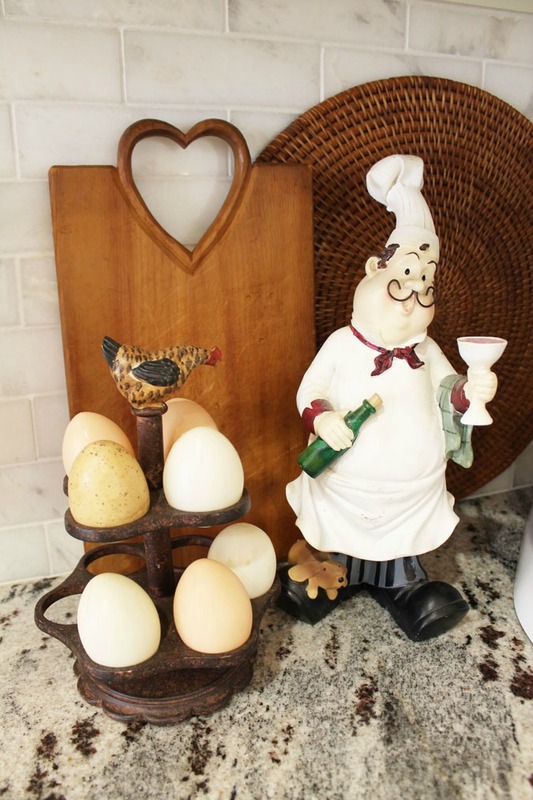 a cute egg carrier add some fun. Yellow daisies and of course my signature yellow pig on the island. The breakfast table is behind the island. We eat most of our meals here. I like to keep the centerpiece here really simple. Flowering branches and some wheat make an airy floral arrangement. 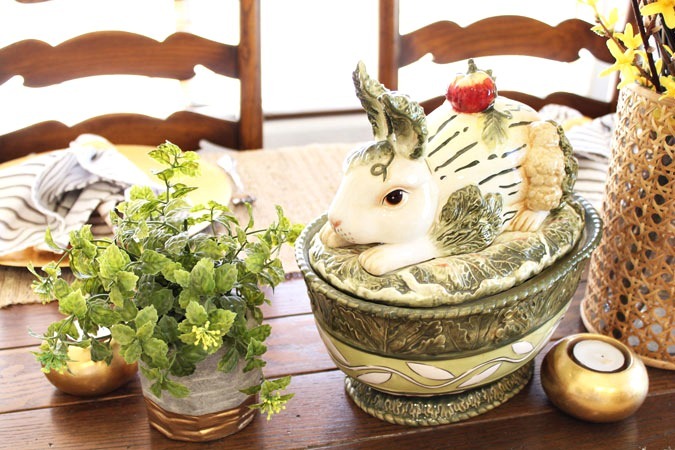 My Bunny tureen is a treasure that always makes me happy to see. 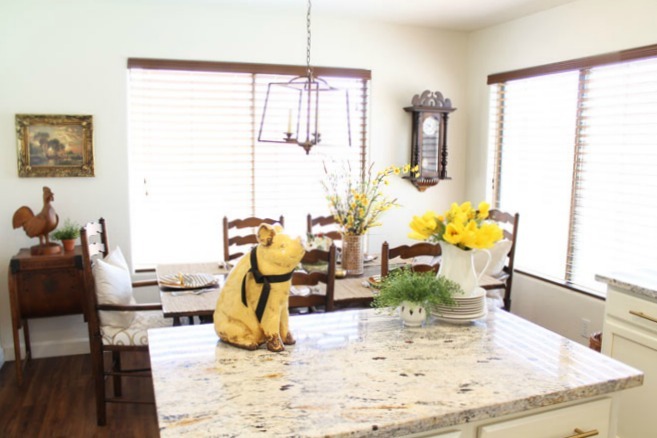 Coordinating the kitchen and eating area with a little yellow ties them together. Yellow in the family room too. This area covers the whole back of the house, so I like for them to coordinate. Plenty of sunshine and plenty of pretty yellow and I have a happy area. 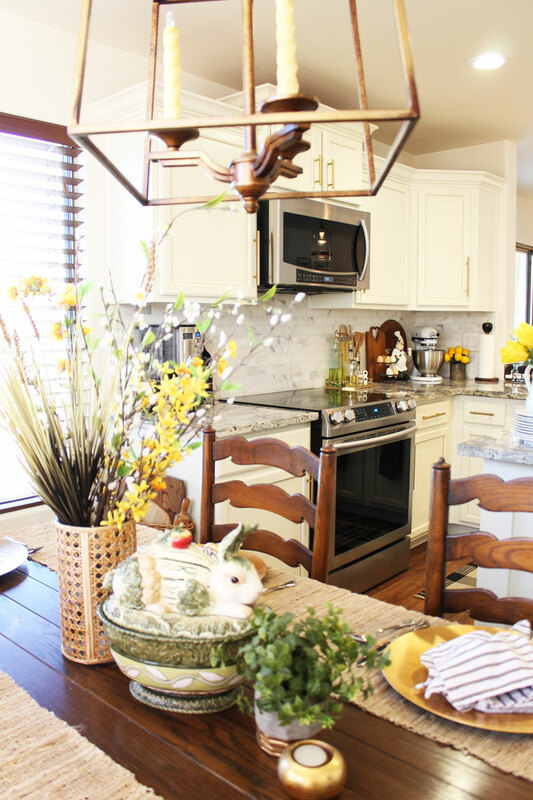 So how about you, do you go all out in the kitchen for Easter? I can't remember the last time I put out any Easter decor, Marty! 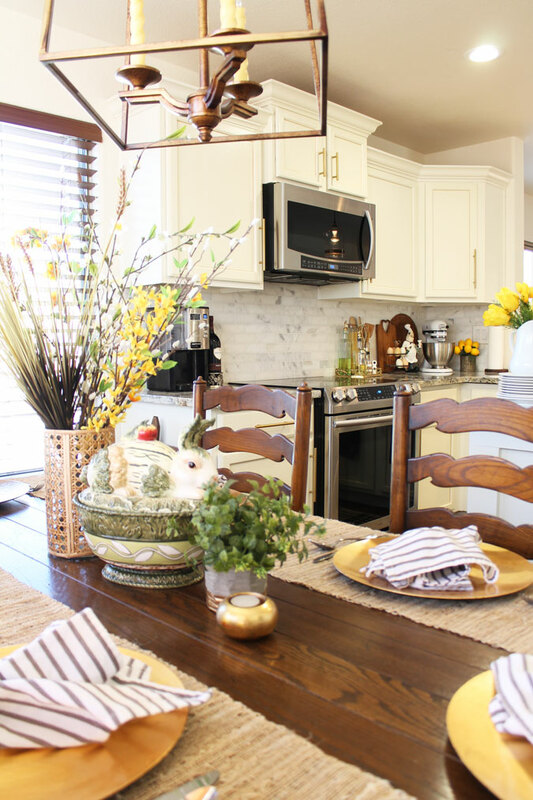 Like you, I love yellow touches in spring - it feels as if you are bringing sunshine right into the house. Looks great, perfectly accessorized as always! I don't decorate for Easter since we go to family. I'm a spring decorator. 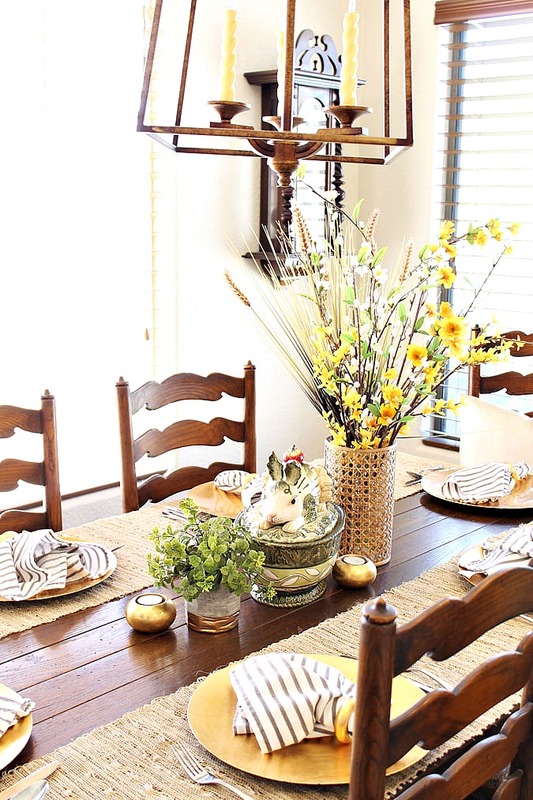 Love the yellow touches and your sweet table design for Spring and Easter. 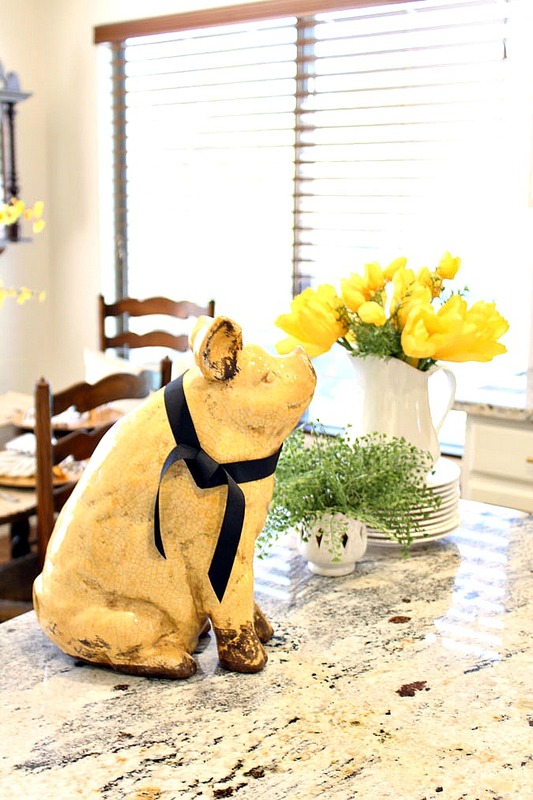 Always love the little pig on your counter and his cute face and smile. Happy Thursday Sweet Friend. I do love your spring and Easter deco. The yellow adds just the right touch! I put out a little for Easter deco. Spring is in the air! 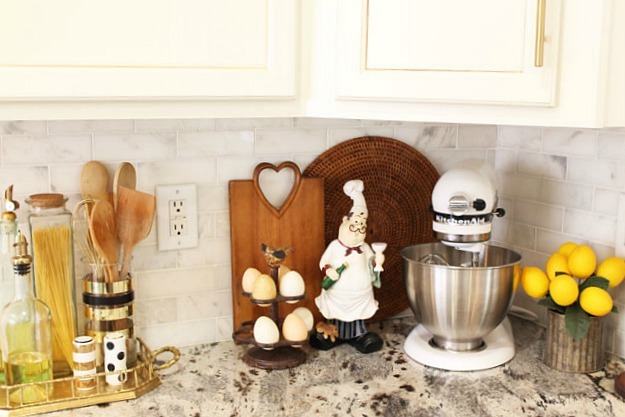 I love your simple Easter additions to the kitchen. The forsythia branches look so pretty for a pop of yellow on the table. I just shared a post about forsythia and I think it is perfect for early spring. Just curious, do you have forsythia bushes in the desert area where you live? 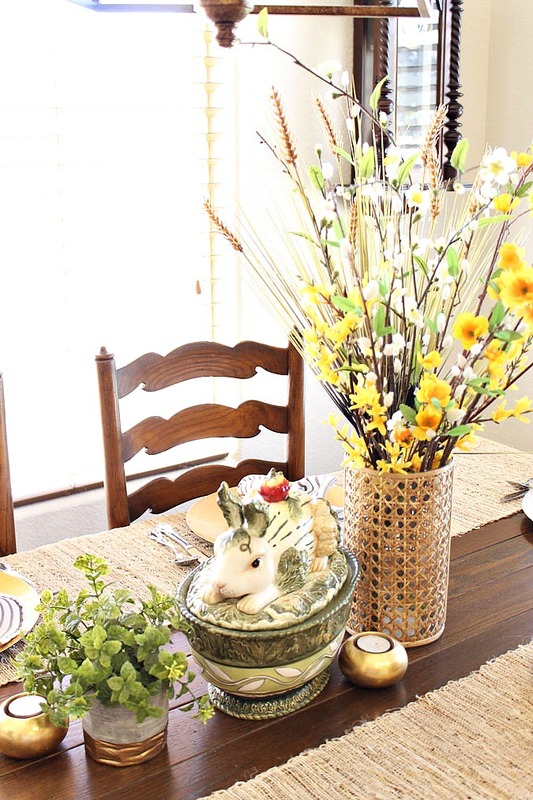 Love that bunny tureen too! 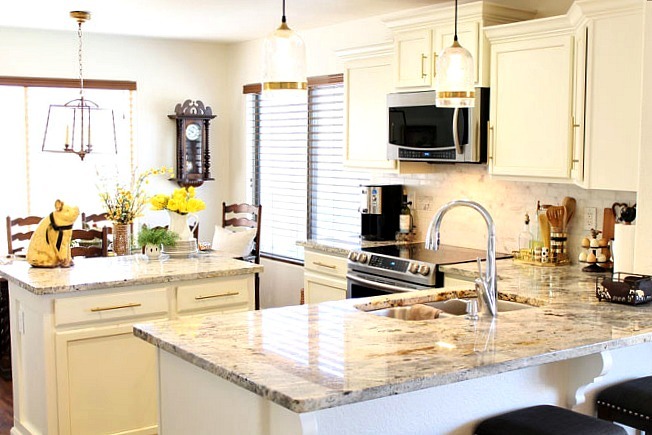 Your house looks beautiful, colorful and cheery. I too agree yellow is such a happy and perfect Spring color. Marty, I'm like you--with no kiddos around, my Easter decor has diminished over the years. But it's still fun to do some decorating for Easter, isn't it? 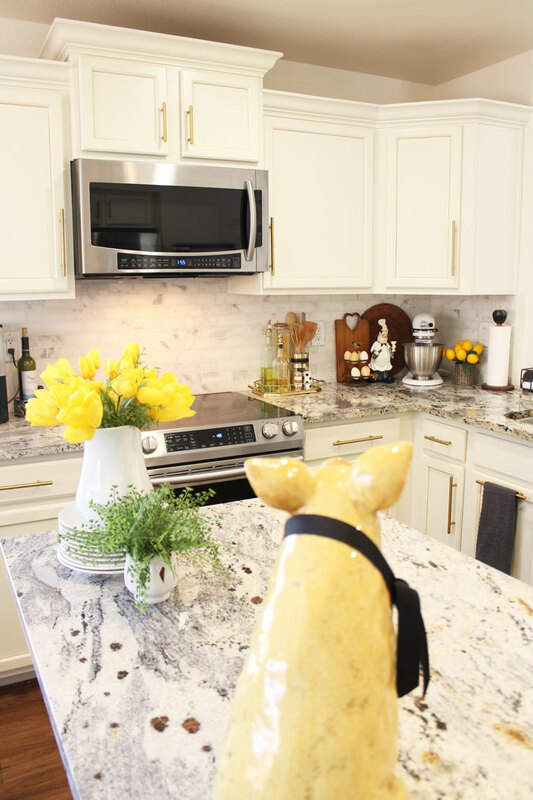 Your kitchen looks so pretty and springy!